Forged with a rich British heritage and crafted to international recognition by Manchester’s oldest fine jewellers, Hancock’s offer an unrivalled class of grandeur and sophistication. Lifestyle compatible and refined in nature, for every style of Gentleman. 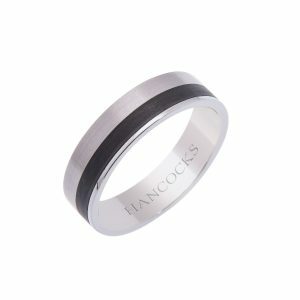 Hancocks wedding rings are at the forefront of design, whether in platinum, 18ct gold, palladium or titanium, in a variety of finishes, or with a hint of diamond fire. 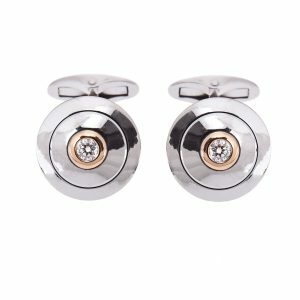 To accompany bespoke tailoring and shirts, our range of cufflinks fit any occasion. 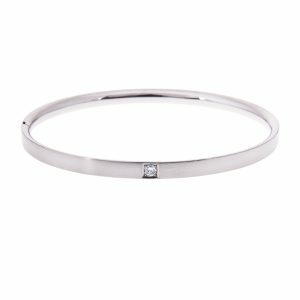 From the finest makers to grace any cuff, you can find cufflinks in contrasting shades of gold or highlighted with diamonds or coloured stones to complete the wearer’s individual look.